Entire villages razed to the ground, historic areas of natural beauty completely wiped out, woodland burned to ashes and an intolerably high death toll. Forest fires that raged across northern and central Portugal last Sunday, killing over 40 people, once again caused a scene of bleak and tragic devastation. 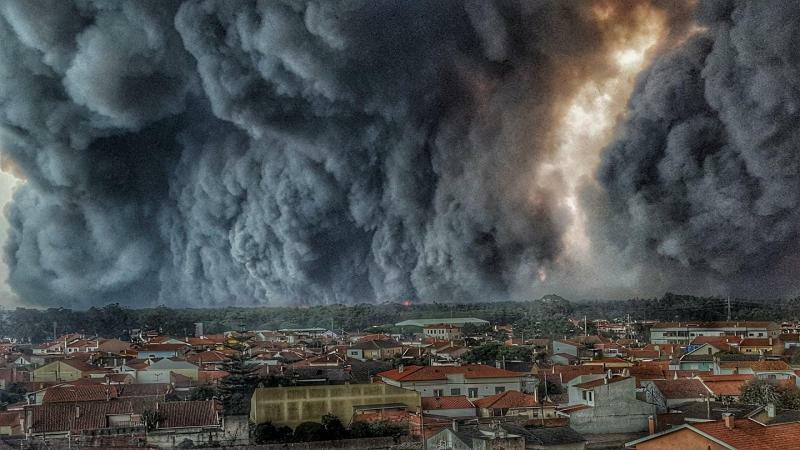 Just as the Portuguese began recovering from last June’s shock, tragedy repeated itself only four months after the deadliest wildfires in the country’s history, which killed 65 people, most trapped in their cars in a desperate attempt to flee the blazes. Behind yet another disaster, was an explosive mixture of contributing factors of incomprehensive scales. Insufficient preventative measures, weak or absent forest management, deficiencies in the largely volunteer fire brigade, an uncoordinated response, lack of information, the effect of climate change, vested interests of the paper industry and criminal activity. The list could go on. But one significant, yet hardly reported reason behind such a massive tragedy has been the rural exodus from the Portuguese interior, where the wildfires wreaked havoc. The younger generation simply leave to seek opportunities elsewhere. Many go abroad (with a domestic population of 10 million, Portugal has a 5 million-strong diaspora), whilst others move to the coastal cities (over 70% of the country’s population is concentrated on the coast), leaving the older population more and more abandoned and isolated. In rural areas, the ageing population has little capacity to maintain forests and clear flammable brush and detritus, which fuel and spread fires, culminating in the brutal ecological and human destruction witnessed in the recent wildfires. Furthermore, Portugal is one of the most heavily forested countries in Europe. However, most of its woodland is privately owned (over 85%), often by absent owners who poorly manage and neglect the forest. Additionally, many criticise the European Union’s Common Agricultural Policy as being a total misfit for Portugal. Experts say that funds from Brussels have been poorly channelled, discouraging activities such as cattle farming which is very helpful in cleaning forest brush. Alongside the disappearance of cattle, planting of non-autochthonous trees such as the highly flammable eucalyptus has soared, catering to the needs of the paper industry. Taking everything into account, blame must fall on the successive governments who have done little more than turn their backs on the countryside, encouraging the centralisation of all kinds of public services from health to education, and offering few incentives to set up any type of business or industry in the interior. Repeated failures from Portugal’s authorities are responsible for not only the loss of over 100 lives, but also for the destruction of the country’s increasingly scarce ecological heritage.